Because I started learning Icelandic this year, I decided it would be a good time to check out some Icelandic literature in translation. Most people are familiar with the Icelandic sagas, but there is a lot of modern literature coming out of Iceland too. I realized I could be reading Icelandic literature in a roundabout way. I had been reading David Mitchell’s The Bone Clocks. The book mentions Halldór Laxness, an Icelandic author who received the Nobel Prize for literature. I know, this isn’t a review about Laxness, as you’re undoubtedly thinking. Well, I did get a Laxness novel from the library but I read The Whispering Muse first because it is much shorter and I practice library triage. So, here we go. The Whispering Muse takes the form of a memoir of an older Icelandic gentleman named Valdimar Haraldsson. Haraldsson fills his time with running a journal about the connection between fish and culture–specifically that fish is the secret to Nordic superiority. Haraldsson’s memoir details the events aboard the merchant ship MS Elizabeth Jung-Olsen, where Haraldsson stays as a ‘supernumary’ thanks to the largess of Norwegian shipping magnate Magnus Jung-Olsen. The story takes place in the late 1940s. Each night while onboard the ship, Haraldsson dines at the captain’s table with several of the crew and the paramour of one of the crew members. Haraldsson becomes increasingly horrified each night because fish, nor seafood of any kind, does not appear on the dinner menu. Several days in, Haraldsson takes it upon himself to go fishing (the ship spends most of the story docked at a paper mill in a Norwegian fjord). His catch is made into several meals, to Haraldsson’s delight and to everyone else’s skepticism. After the evening’s repast, the second mate, Caeneus, recounts a part of the saga of Jason and the Argonauts. To tell the story, Caeneus holds a woodchip up to his ear. Caeneus receives the tale from the woodchip and relays it to the group. Haraldsson assumes that the business with the woodchip is some sort of conceit, but everyone else takes it seriously. Caeneus later reveals that the chip is a piece of the Argo itself, which is why it can tell him the story. I’m not sure The Whispering Muse was really the right entree into Icelandic literature. I don’t really feel like I “got” the book, but I’m going to give it my best interpretation anyway because it’s just the internet, not a peer-reviewed literary journal. 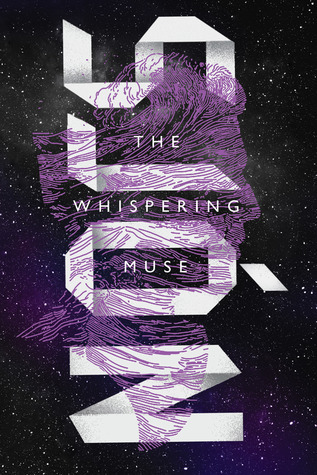 The Whispering Muse is apparently a satirical take on a milquetoast Icelander who, preoccupied with the inherent superiority of his own people, cannot recognize true excellence when he sees it. Caeneus’ tales of the Argonauts feature excitement and heroics. In contrast, when Haraldsson has the opportunity to speak, he presents a rambling lecture on his fish and culture thesis. It is not well-received. At the end of the story, Haraldsson, confronted by someone truly superior, only f lees. An epilogue explains that he loosened up on his view about fish and Nordic supremacy after his stint on the Elizabeth Jung-Olsen. I also suspect it is intentional that Haraldsson is dwelling on Nordic superiority so shortly after World War II. The Germans adopted the Nordic myths and used them as part of their claim for racial superiority. It would be a little awkward to walk around talking about how great the Nordic people are so soon after the same myths were unfortunately used (in part) to justify atrocity. It was interesting to read a novel translated from Icelandic because it offered some different word use than what we normally get in English literature. I have to thank both the author and translator for this one, since literature in translation is so influenced by the translator. This translation had some gems, like the phrase higgledy-piggledy. You have to wonder how that appears in Icelandic (This just in: Google Translate says it’s the same in both languages. What a buzzkill). I think I have to recommend Halldór Laxness as a next read. Independent People seems to be his most famous work, but there are certainly quite a few options. I guess I’m cheating a bit for both of these recommendations, but I’m going to recommend The Bone Clocks as well. I just finished it about a week ago. It was definitely worth reading. It’s a kind of speculative fiction that is so close to reality that you forget you’re reading something that is arguably magical realism.